Oh my! 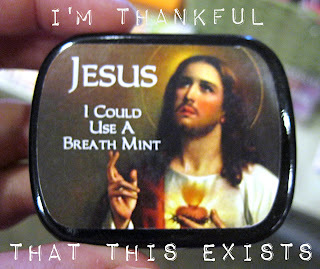 This must be for when your breath is at its worst and we pray for minty relief from bad mouth smells. "Lord, I pray that thou wouldst save my mouth with thy cleansing freshness! Oh, wretched odor, wicked stench! The Lord will smite thee with mint of pepper or spear... hopefully not cinnamon because tis offensive to my taste buds!"